Kindle and the Kindle Voyage are the Company’s new e-reader offerings ($79). This is the Thinnest, Highest Resolution, highest contrast e-reader we have ever made. Amazon VP peter Larsen said of the Kindle voyage, which starts $199. Amazon have a long term vision to replace paper, The companies Vice President of devices David limp at the launch event in New york Wednesday. 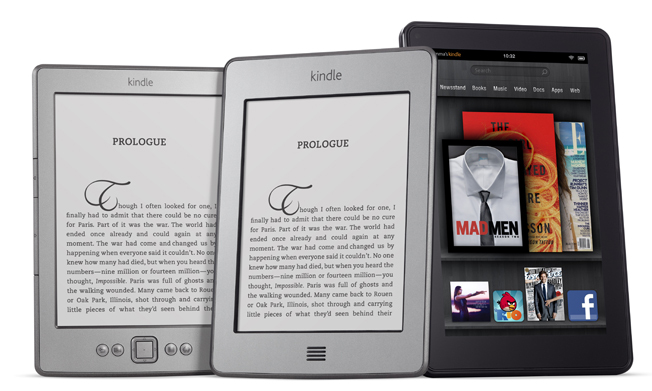 Which translate to e-reader with higher resolution and contrast display gives it a remarkable touch. Amazon is hoping to tap into markets like India and China. Amazon also unveiled New fire Tablets, including to one aimed at children Education. Their HD Fire kids Edition comes with two year warranty. The New Gadget is equipped with Amazon Free time, a Feature that lets parents manage what their children can access. New tablet includes 6-inch Fire HD Display the most powerful tablet under $100 and a $140 and 7-inch fire HD Tablet. All the devices are Available online for Pre-order and will begin shopping in October.